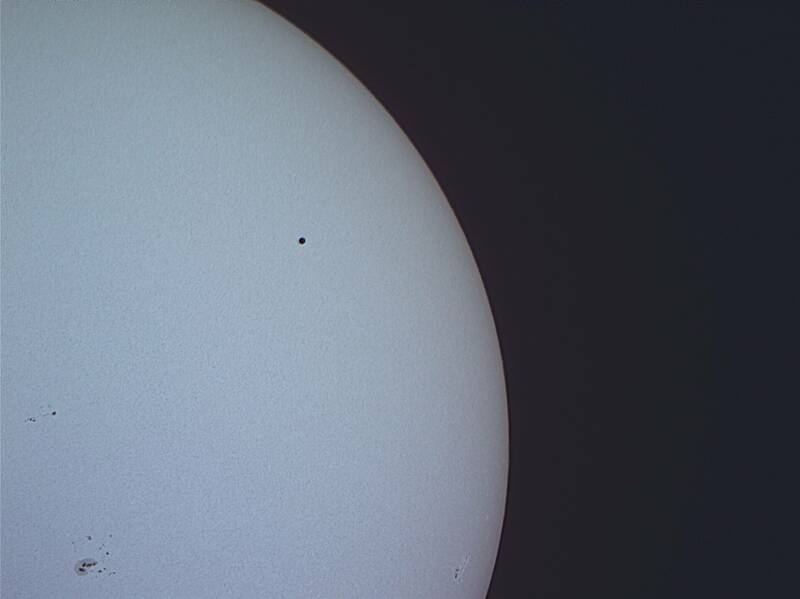 Transit of Mercury, May 9th, 2016. Shot from Market Square in Belleville, this is about 1 hour and 15 minutes after first contact. Celestron NexImage 5 on 8" Newtonian with Baader solar filter.